01182013_Becherer_IraqMedical013: Doctors of War: Casualties of War: Global News Portfolio: New Orleans based Photojournalist covering the Deep South and beyond. 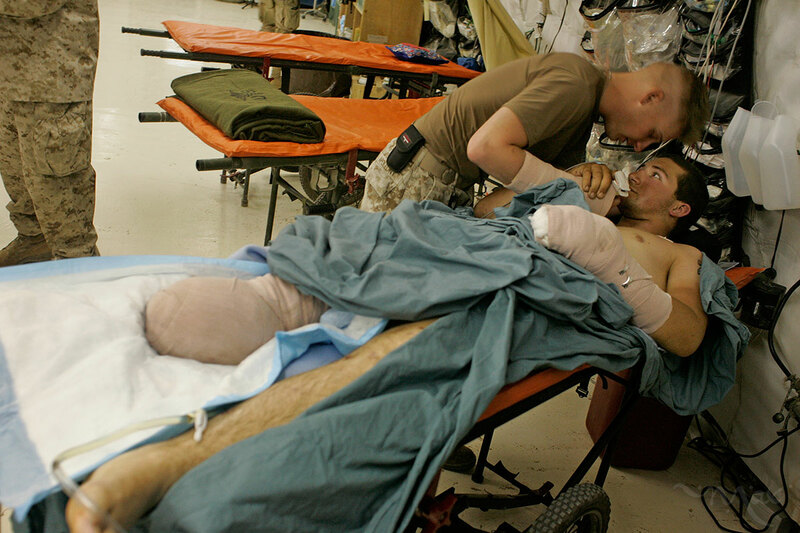 Corporal John Apollony, center, holds the hand of fellow Marine, Lance Corporal Matthew Schilling, after finding each other in the hospital in Balad on August 27, 2005. Corporal Apollony, who was in the hospital for a fractured hand, heard Schilling was injured in an improvised explosive device attack in Hit, Iraq the day before.